Towering heights. Someone who offers a 2000 Euro (~$2749) ultrabook is aiming at especially demanding customers. Thus, we ask ourselves why a TN screen is installed in an otherwise very elegant device with some notable cutbacks. Will the review sample nevertheless manage to stand up against the competitor's flagships, and to score in the targeted business range? 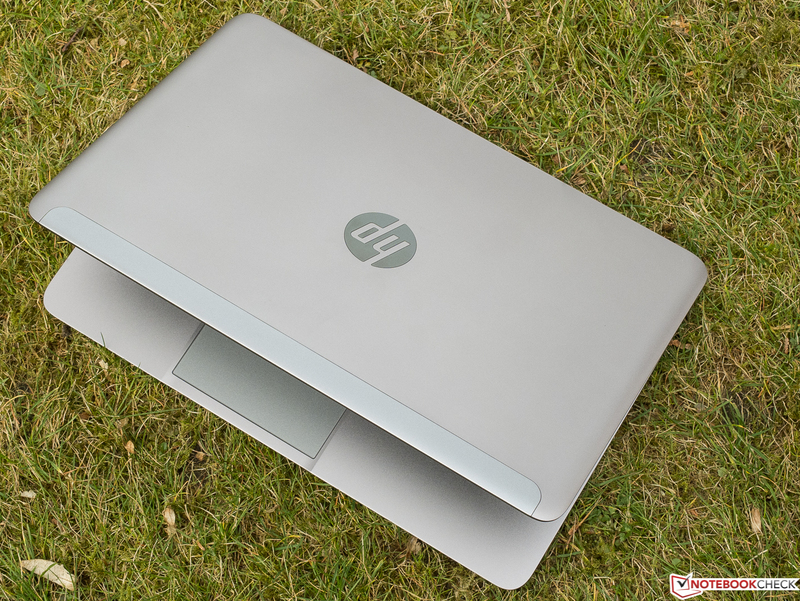 Can HP's flagship laptop compete with equally expensive competitors? 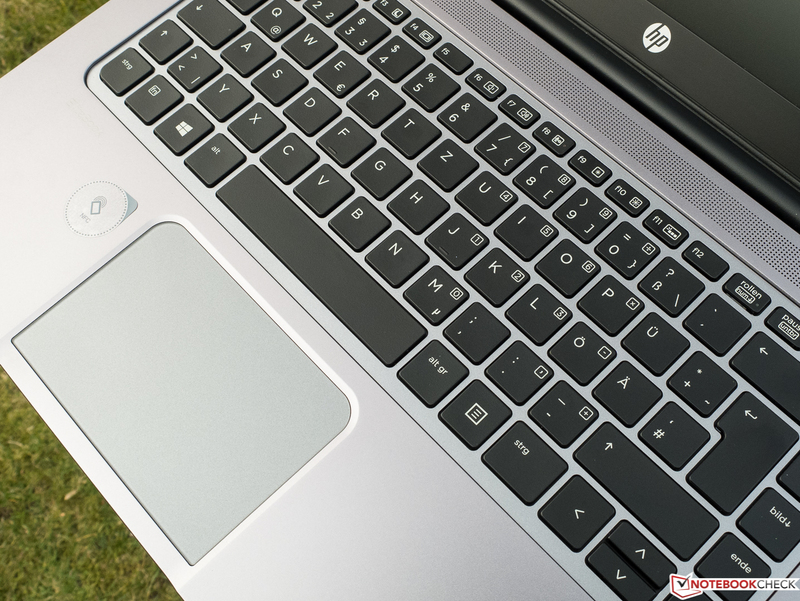 EliteBook is the name of HP's premium-range laptops with a correspondingly premium price. 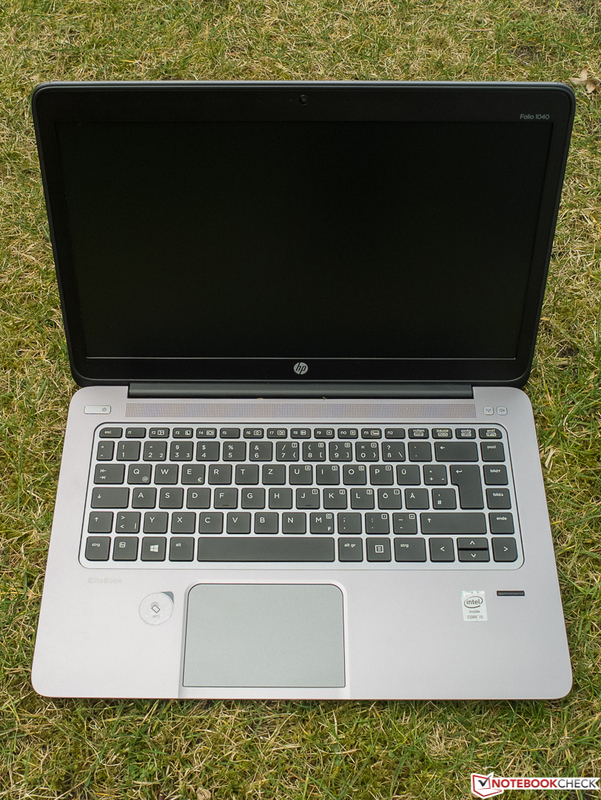 Our HP EliteBook 1040 G1 (H5F62ET) review sample - a lightweight 1.5 kg (~3.3 pounds), 14 incher with a (non-touch) screen resolution of 1600x900 pixels - is no exception here. At 2000 Euros (~$2749), the steep price boosts it into direct competition with the flagship models of other manufacturers. 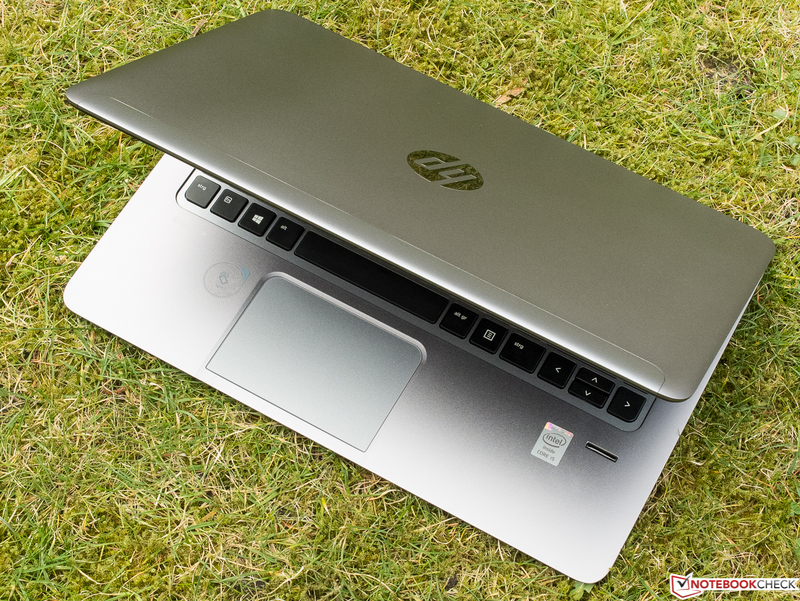 Up to now, it is proclaimed to be the thinnest ultrabook that HP has to offer with a height of just 15.9 mm (~0.6 inches), and is fully tailored to fit the needs placed on the mobile business field with its numerous security features. 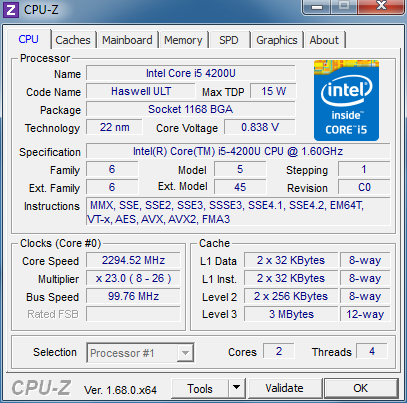 An Intel Core i5-4200U (2x 1.6 - 2.6 GHz, Hyperthreading, TDP: 15 W, Haswell) alongside the integrated Intel HD 4400 graphics is under the hood, and is supported by 4 GB of RAM. The storage device is a 180 GB SSD from Intel. 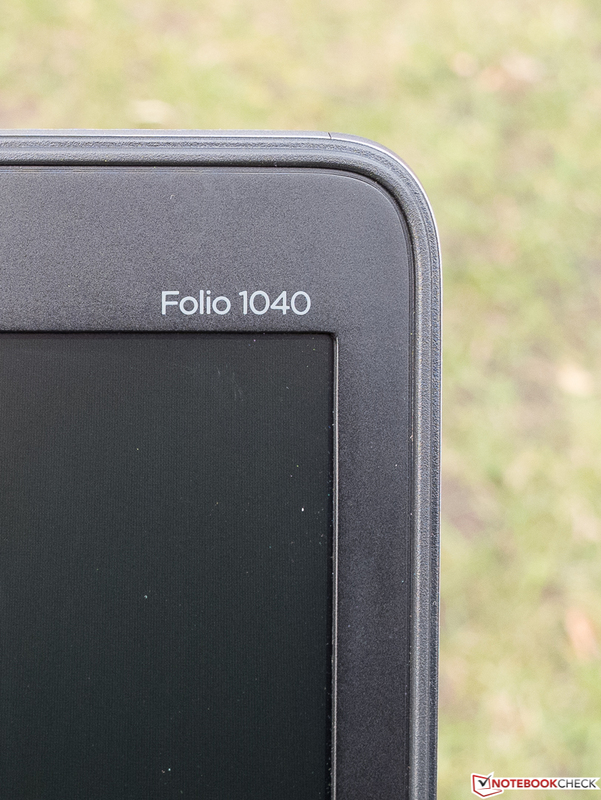 Though other versions of the 1040 G1 exist, HP has not yet aggressively advertised them; they also only had a limited availability in our region at the time of this review. During an extensive price comparison, we discovered other models (H5F64EA, H5F63ET, F1N34EA) featuring the same equipment but with a 256 or 128 GB SSD and/or Full HD screen (IPS? Touch?). 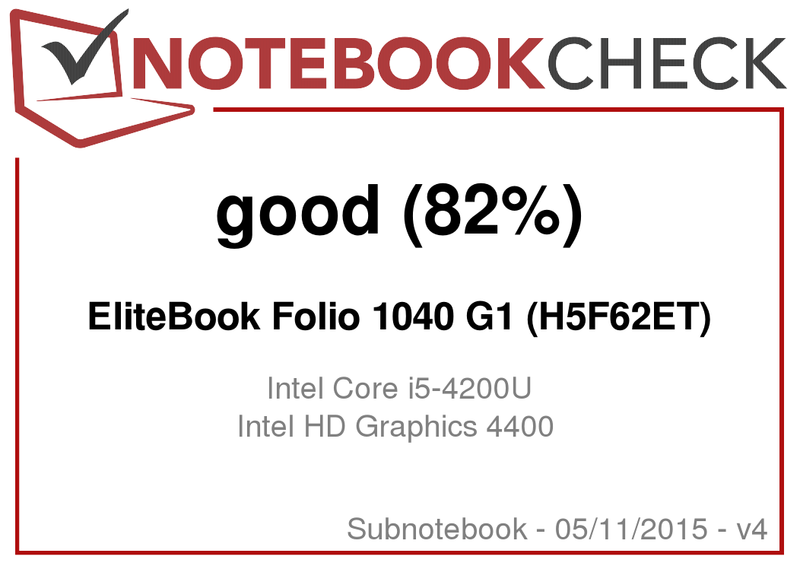 A marginally faster Intel Core i5-4300U (2x 1.9 - 2.9 GHz, TDP: 15 W) and 1920x1080 pixel screen makes the F4X88AW version something special; we did not ascertain any other differences compared with the review sample. We chose two ultrabooks also with a 14-inch screen size that are within the same price range for comparison. 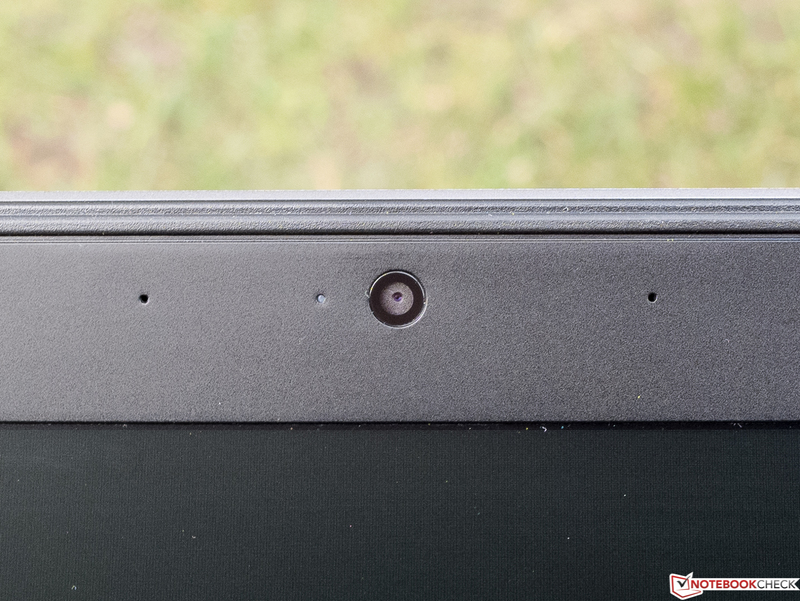 The first is Lenovo's ThinkPad X1 Carbon Touch 20A8-003UGE with a potentially stronger Intel Core i7-4600U (2x 2.1 - 3.3 GHz, TDP: 15 W), which comes from Intel's current Haswell generation, like the CPU in our review sample, 8 GB of RAM and a 240 GB SSD. Other differences are its IPS touchscreen with a QHD resolution, and its spectacular carbon casing. The second comparison device also comes from Lenovo, who puts special focus on business laptops. The ThinkPad T440s 20AQ0069GE sports the same CPU and storage equipment as the X1 Carbon, but its non-touch screen relies on the Full HD resolution. Both Lenovos have matte displays (via a film in the Carbon). A 250 GB Samsung SSD is the storage device in the T440s. 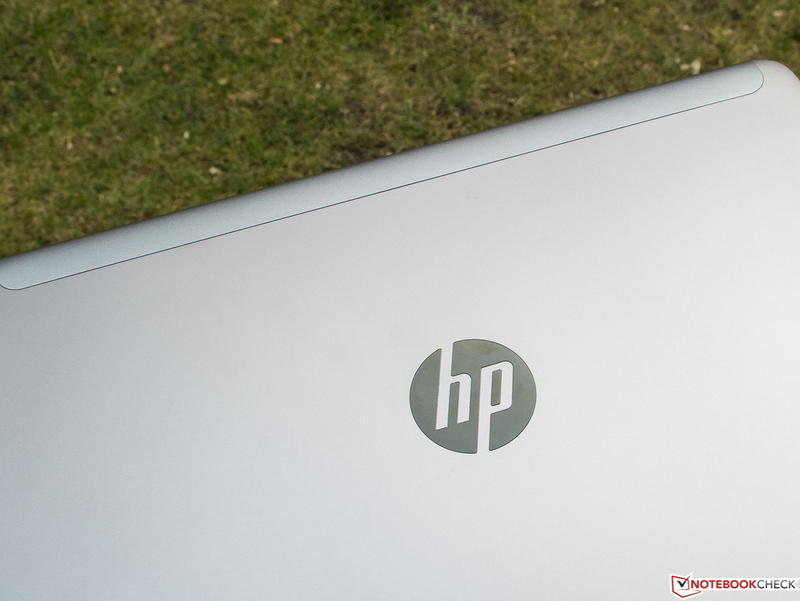 Simple elegance, paired with high-quality looking materials, low weight, a height of just 15.9 mm (~0.6 inches), and an absolutely immaculate build is how HP presents the review sample's casing. Allover metallic surfaces, in matte, neutral silver dominate the exterior; only the lightly rubber-coated underside for better grip, the matte display bezel with a protruding edge and hinge, and the keys are black. Positive: The casing mostly resists fingerprints, and thus usually looks immaculate. 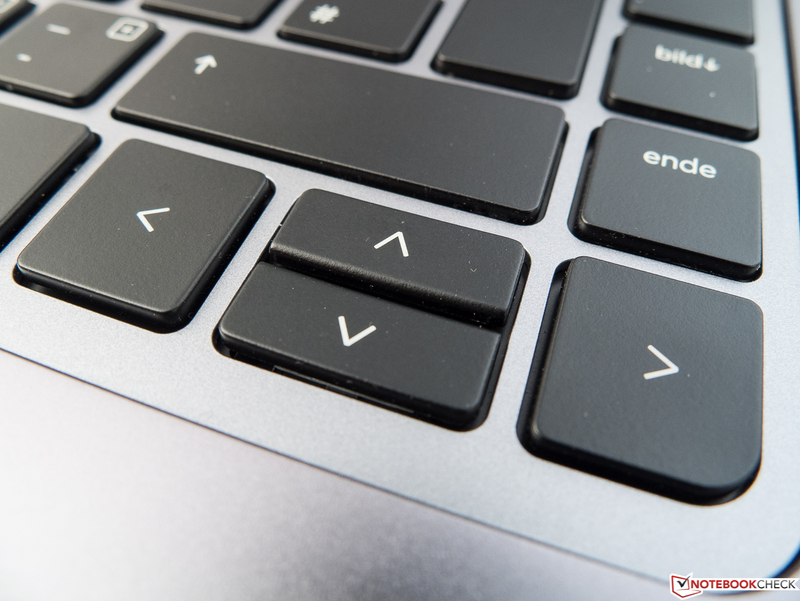 Rounded corners, effectively deburred edges and details, such as the lowered area in front of the touchpad on the base and the appealing, successful integration of the wireless and mute keys, show that the designers and engineers have put great effort in the casing. 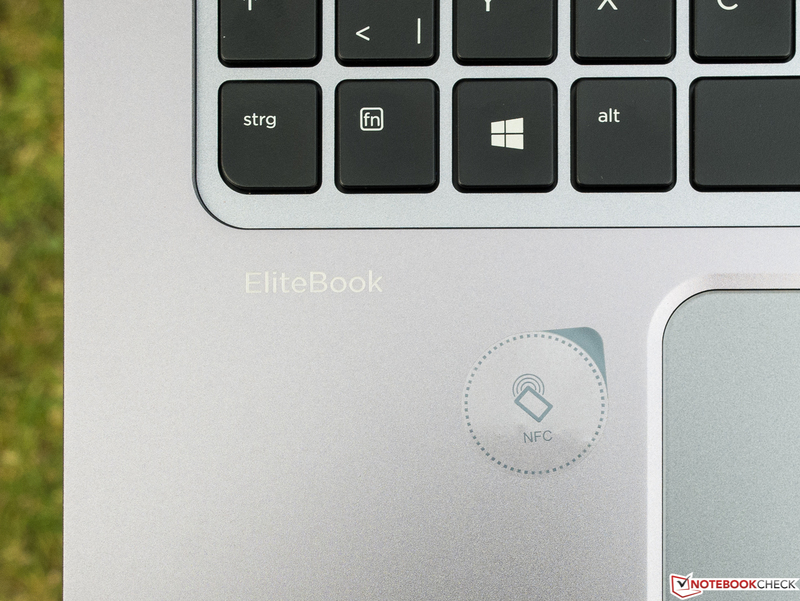 However, the EliteBook looks so basic that it cannot really be said to have its own form language. 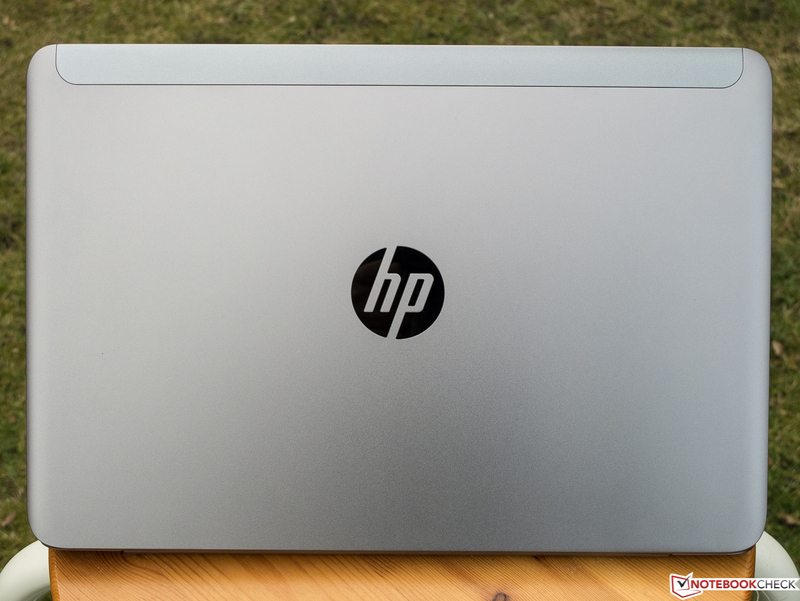 Instead, HP apparently wants to suit everyone's taste, which is particularly seen in the silver and black color combination popular among the gentlemen. What's more, the stylish and representative, though also slightly characterless casing offers exactly the understatement that many business users want from their machine. The thin lid proved to be quite pliable although its back is fairly pressure resistant. In return, the base could not be warped even using high force, and our attempts did not cause any noises. It is just possible to open the device with one hand. Although the hinges have a firm grip on the lid, it unfortunately clearly wobbles in jerky situations, such as in the car or on the train. Although Lenovo's X1 Carbon is almost 100 grams lighter (total ~3.1 lbs) than our EliteBook's 1.5 kg (~3.3 lbs), it is 4 mm (~0.16 inches) thicker. The ThinkPad T440s is defeated in the race for best portability with its 1.7 kg (~3.75 lbs) and 20.7 mm (~0.8 inches) height. 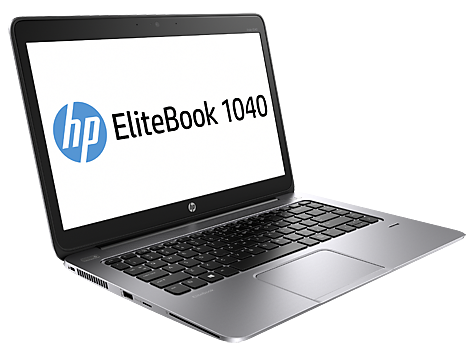 As a final note, HP also touts the robustness of its slim business device with the following words: "The HP EliteBook Folio 1040 passes MIL-STD 810G15 testing for drop, functional shock, vibration, dust, humidity, altitude, high and low temperature, and temperature shock." As can be read here, this does not necessarily mean anything though. 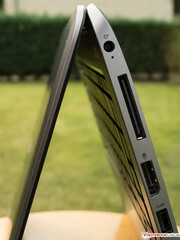 The connectivity is limited due to the slim and light build, and the manufacturer cannot be blamed. There are only 2 USB 3.0 ports; the EliteBook only supports SD cards in the micro-SD format, and users who want to connect an HDMI device will have to use a DisplayPort-HDMI adapter or a corresponding cable. That is available for less than ten Euros (~$14) in retail, and is not included for incomprehensible reasons. 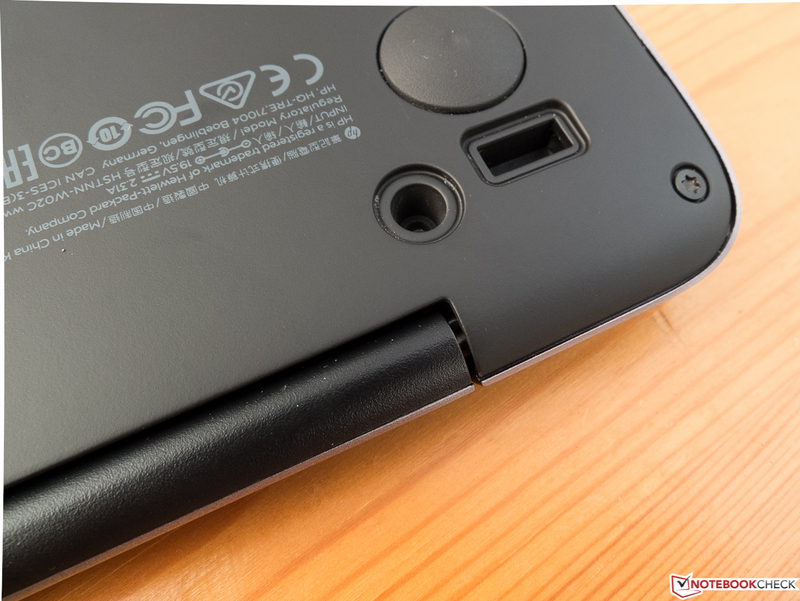 In return, an adapter that is connected to the docking port at the right back is included. It adds a VGA out and an Ethernet port for cabled LAN, which is still important in the business field. 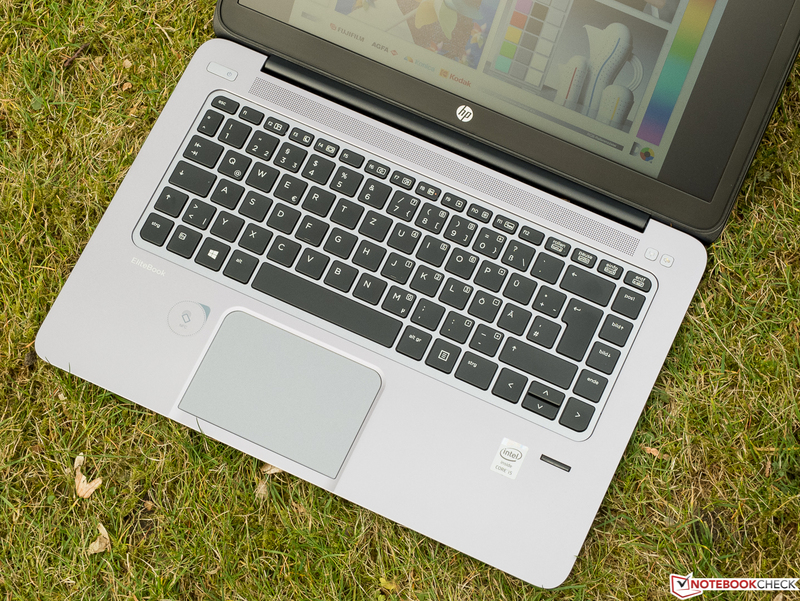 Although the interface positioning is not ideal, HP has tried to place them in the back area where cords and peripherals like USB flash drives are not as impairing. A SmartCard slot is located at the far left front, and underlines the business claim. In addition to Gigabit LAN that can only be accessed via the included adapter, our HP EliteBook also communicates in wireless networks. To be more precise, via Intel's Dual Band Wireless-N 7260 Wi-Fi module (support) that also transmits in the still less busy 5 GHZ frequency range besides the 2.4 GHz band that is frequently overloaded in office buildings, airports and city centers. The target group will certainly appreciate this. The module also supports Bluetooth 4.0. The additionally installed broadband modem with HDSPA+ is just as boosting for portability, and simply a matter of course here. Unfortunately, we could not test it for the lack of a micro-SIM card. 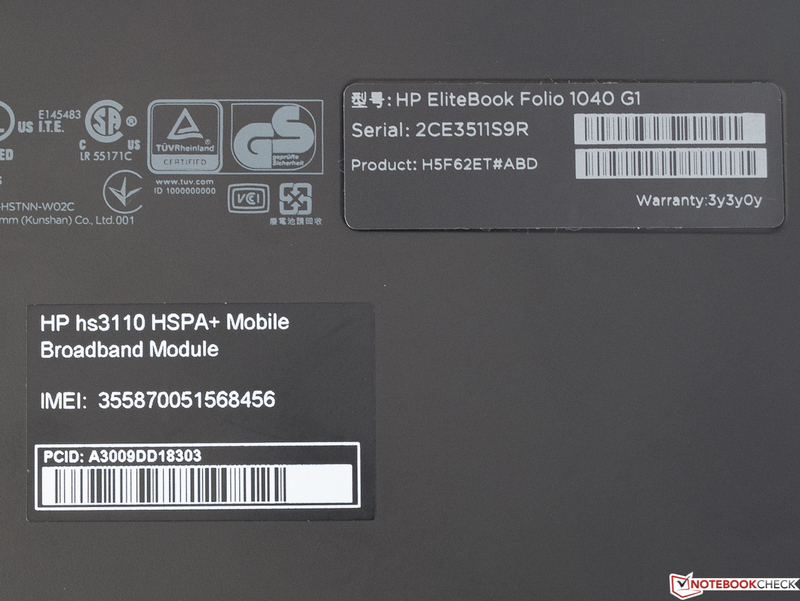 We can confirm that HP's EliteBook Folio 1040 G1 had excellent Wi-Fi reception qualities in the author's personal test setup. The connection has not yet been stably maintained with acceptable data rates by another laptop over a comparable distance. A constant rate of approximately 1 MB per second was achieved even over three stories of an apartment building through several walls and ceilings when the router was located on the opposite side of the building. That is remarkable. In this device, HP puts high value and clear focus on data security, which is very crucial for business users. 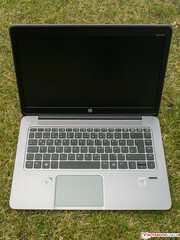 Software called HP Client Security is pre-loaded for this, and enables configuring the following security features: HP Spare Key (additional password for logging in), hard drive encryption, data destruction, fingerprint reader, and protection against unauthorized access to connected removable media. Of course, a TPM chip version 1.2 is installed for this purpose. 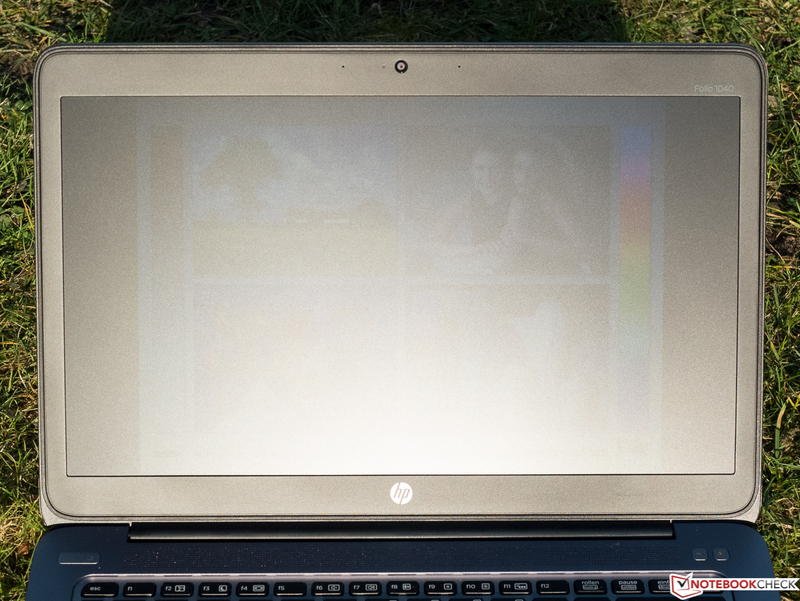 A feature dubbed HP Sure Start offers self-healing in case the BIOs is attacked or damaged in another way. Again, the purpose is to keep expensive downtimes as short as possible. HP Trust Circles is to facilitate authorizing specific users for accessing sensitive data. 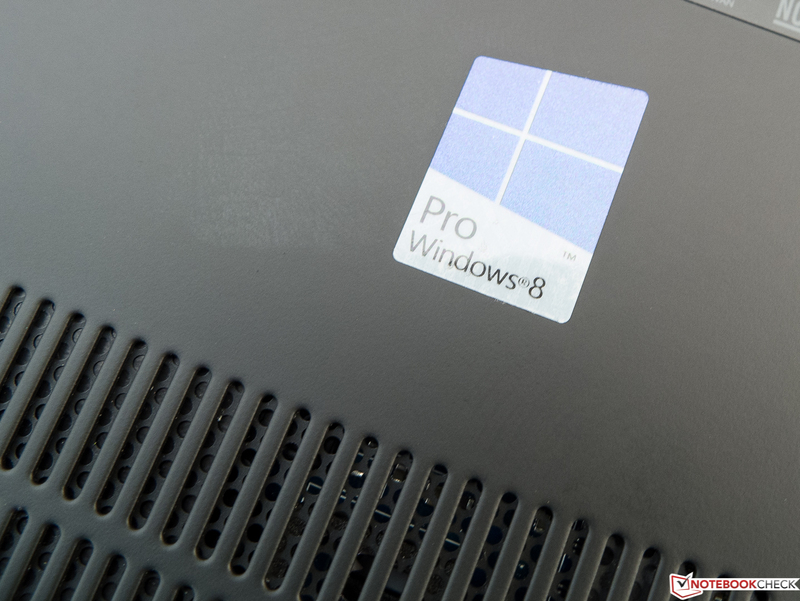 In addition to the adapter described under "Connectivity", recovery and installation media for both Windows 7 Professional and Windows 8.1 Pro are in the box. The only noteworthy accessory that HP offers on its homepage is a docking station that adds the following ports: 2 DisplayPorts, 1 VGA, Ethernet, line-in, line-out, and 4 USB 3.0 ports. DIY maintenance can only be performed if the user is willing to give up any warranty and guarantee claims. There are no maintenance covers, and the innards are guarded by ten Torx screws that secure the base's underside. Thus, the user is dependent on HP's likely not exactly inexpensive customer service even for simply swapping the battery. This restriction is anything but exemplary even from an environmental point of view. 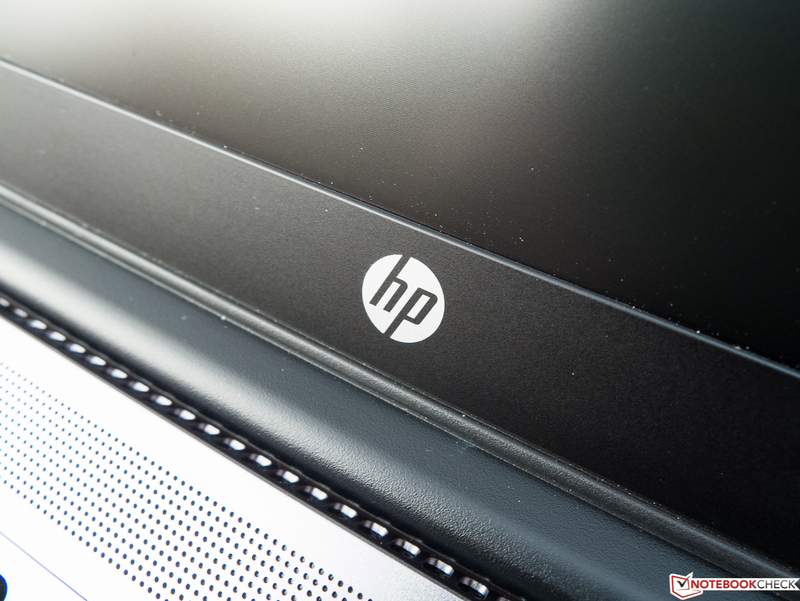 Besides the compulsory statutory retailer warranty, HP includes a three-year manufacturer's warranty. As usual, it can be upgraded for a charge via so-called Care Packs. For example, a three-year international on-site service for the next business day costs 170 Euros (~$234). That is not cheap, but will likely be welcomed by the target group because reducing downtimes is an important aspect for many business users. 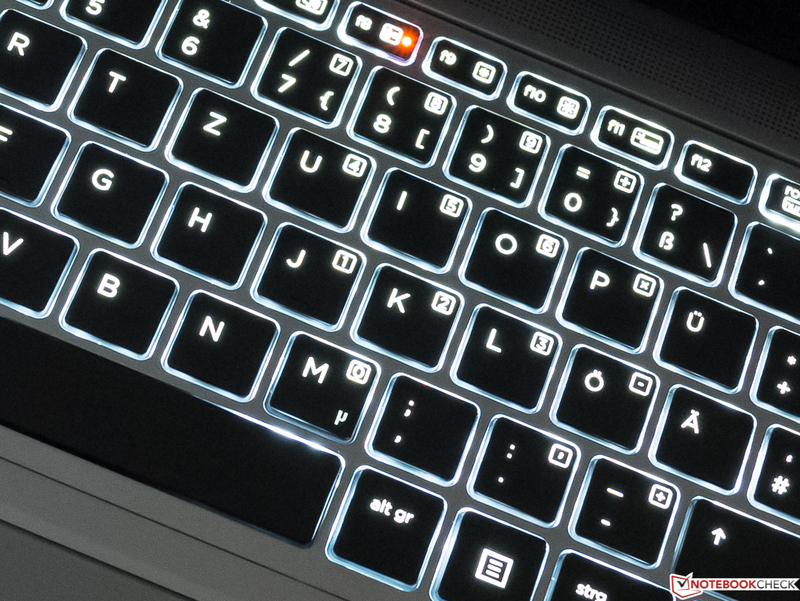 The keyboard's backlight is throughout convincing. The island-style keyboard does not comply with the standard layout. A few keys, such as POS1 and END, have been moved to the right. However, we quickly got used to that. It is too bad that the shift and CRTL keys in the lower left only feature standard-size. 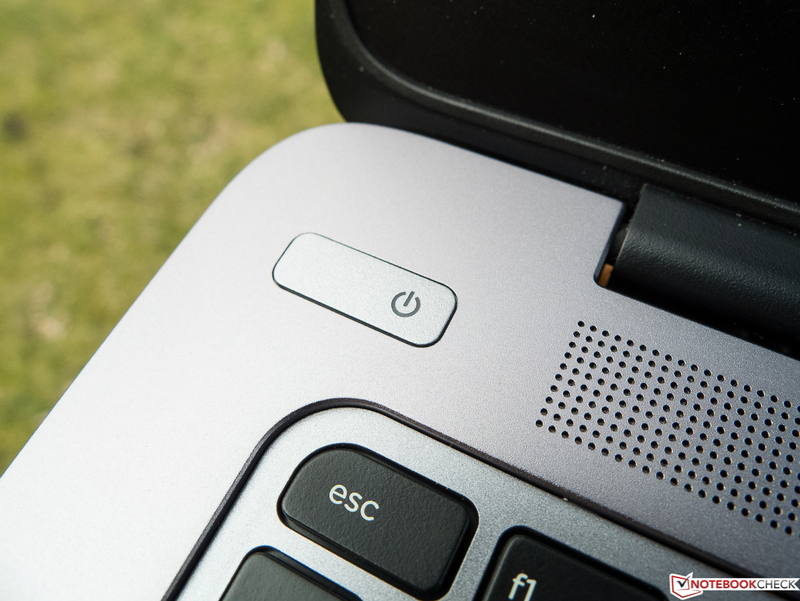 The very good keyboard backlight is activated when a key is pressed or the touchpad is stroked. It is of course possible to deactivate this via a shortcut. We would have appreciated a slightly crisper pressure point from the flat and lightly rubber-coated keys. In return, the stroke is slightly cushioned, which can prevent fatigue when typing longer texts, and leads to a very restrained noise level. The drop length is average for this kind of keyboard. The keyboard does not yield a millimeter even when high pressure is used. An extremely sleek Synaptics ForcePad is installed. It is implemented as one single surface that can only be pressed marginally and that does not produce any kind of palpable or audible feedback when doing so. The driver does this, and emits a click-noise over the speakers when the ForcePad is pressed with higher pressure. The click volume is adjustable. How much force has to be applied before a click is detected can be set in the driver (SmartSense). 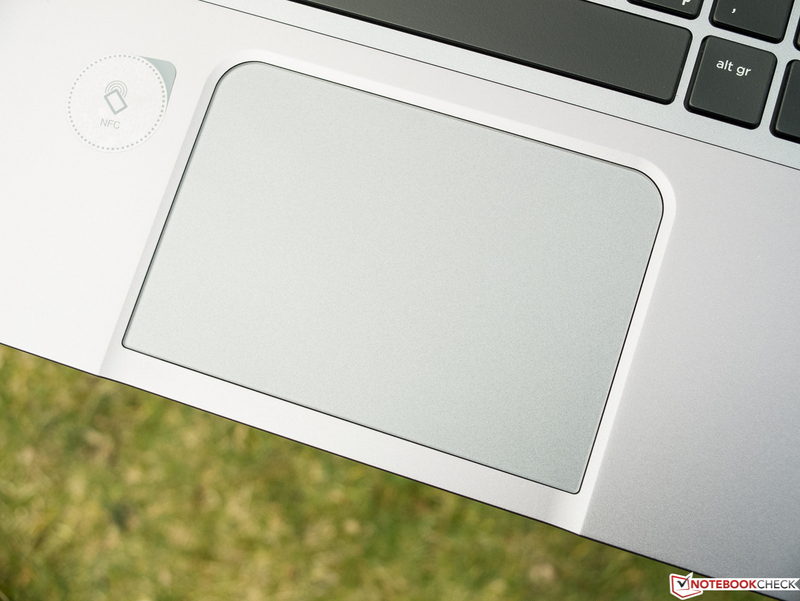 Although the tester managed quite well after a while of familiarization, some users will prefer a conventional touchpad or ClickPad with palpable feedback. The ForcePad does not respond to touch at its outer edges. Otherwise, common gestures with up to three fingers are reliably detected, and the accuracy is good. The configuration options are limited, but the most important settings are available. As mentioned in the intro, HP did not hesitate installing a TN screen from Chi Mei in a device of this price range. At least it is matte, and features a very nice resolution of 1600x900 pixels (16:9) for 13.3 and 14-inch screens. This leads to a pixel density of 131 ppi, and the image sharpness is immaculate. Otherwise, the TN screen struggles with the typical problems of this technology, such as viewing angle dependency and poor contrasts. However, the author believes that the screen in the review sample fares better than that of many TN-based contenders. The usual milky image impression sets in when looking from above, and a kind of inverting effect is seen soon when looking from below. However, the deterioration is limited to a loss in contrast and brightness while color reproduction remains largely unaffected from the sides. Our review sample cannot at all compete with the higher resolution, IPS-based screens of Lenovo's X1 Carbon or Lenovo's T440s. As can be seen in the chart below, the EliteBook just misses first place in the less than decisive accuracy of the gamma rate in this comparison field. In return, the illumination is very homogeneous. We did not observe any bright spots or screen bleeding. The screen does a good job when looking from the sides. The marginally increased black level of 0.69 cd/m², which results from the maximum brightness and the slightly below average contrast of 434:1, corresponds with a subjectively not really dark black reproduction (RGB: 0,0,0). The review sample also does a poor job in color space coverage with 39% of the large AdobeRGB color gamut; but that is only important in (semi) professional image editing. 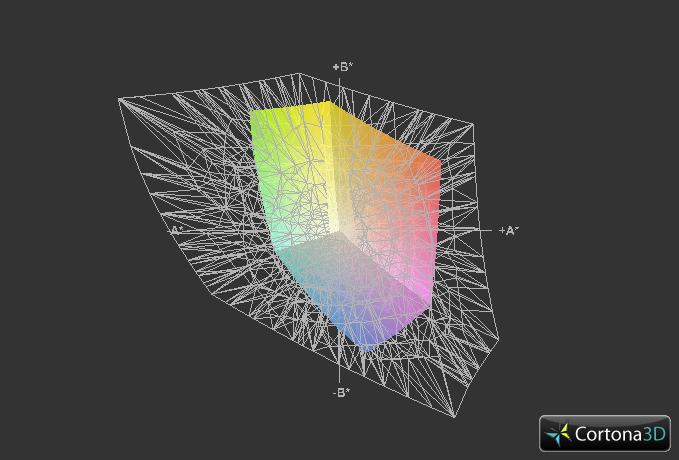 It looks even worse in color accuracy. An average DeltaE rate of 13 (ColorChecker) and 14 (Grayscale) are much too high, and responsible for an intense bluish cast that does not completely disappear even after calibrating. That at least reduces the shift to DeltaE 7 and 12 though. We always provide the corresponding ICC profile for download. 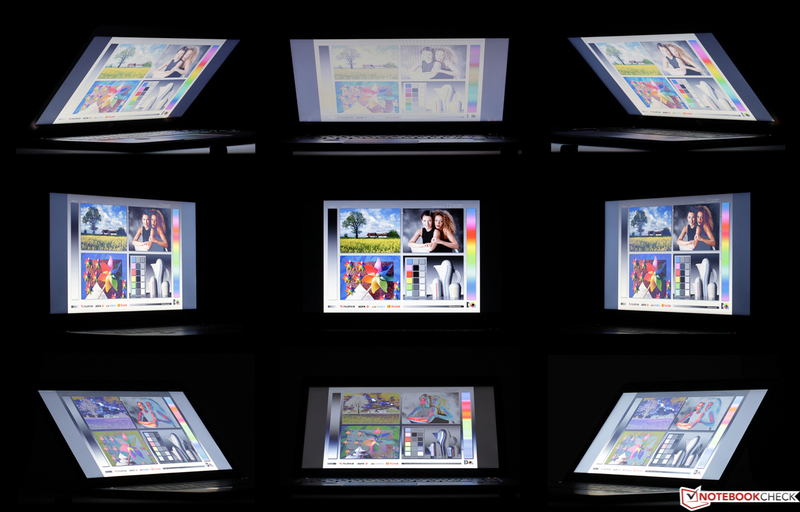 We must point out that two screens from the same batch can exhibit differences in color reproduction. 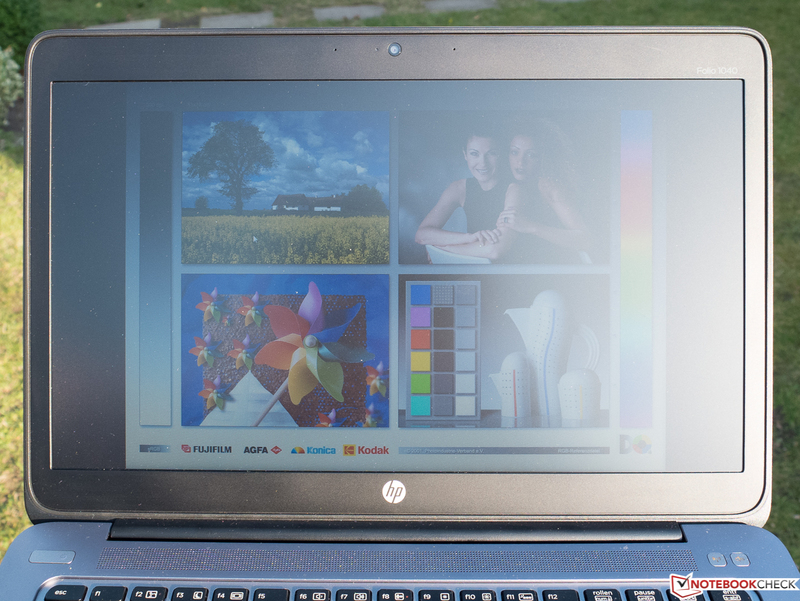 As with most laptops featuring a matte and not excessively dark screen, it is possible to work outdoors with HP's EliteBook Folio 1040 G1 (H5F62ET) on sunny days in the right position. That is not always easy, and it is not possible to achieve the same image impression as indoors, which may be a bit stressful for the eyes over a longer period of use. We noticed that this is not as bad in overcast conditions though. Working is possible in the right seating position in the shade. 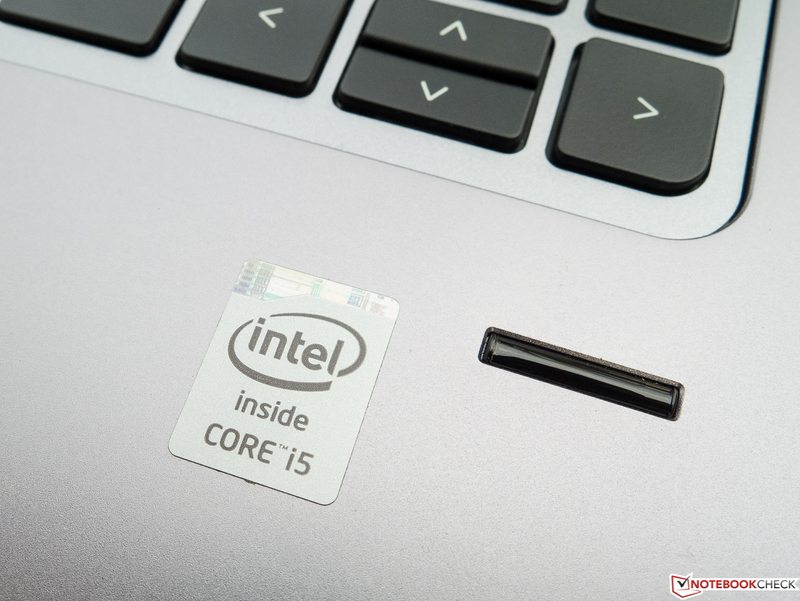 Our EliteBook is powered by Intel's very popular Core i5-4200U that can access 4 GB of RAM, which is not exactly lush but sufficient for most applications. 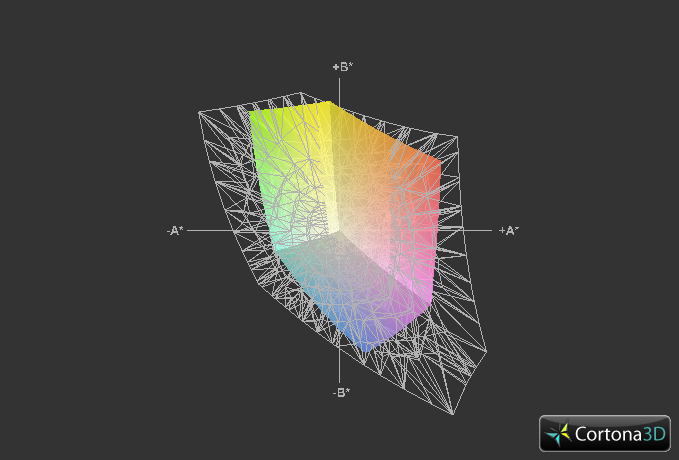 The rather weak Intel HD 4400 on-chip graphics is responsible for graphic calculations. Alongside the 180 GB SSD from Intel, which could also have had 256 GB considering the price, the system supplies enough speed that business users can expect a smooth user experience. HP made a good choice with the Intel Core i5-4200U CPU (2x 1.6 x 2.6 GHz, Hyperthreading, TDP: 15 W) considering the intended field of use. Business users will barely ever push it to its limits with typical applications. 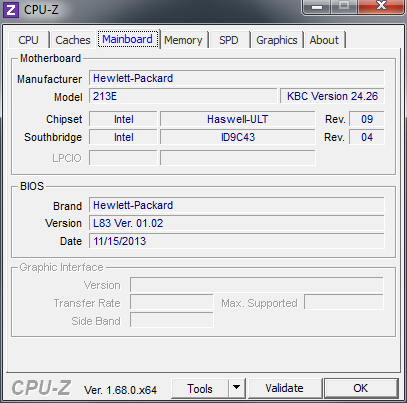 The particularly energy-efficient Haswell CPU is built in a 22 nm process, and has a base clock of 1.6 GHz. 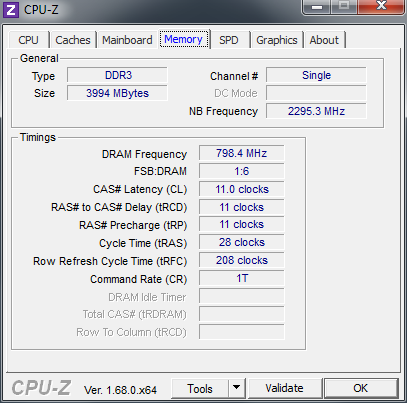 2.3 GHz can be achieved via Turbo when both cores are loaded. As usual, the Turbo of 2.6 on one core is rarely achieved, and is likely interesting for marketing reasons. 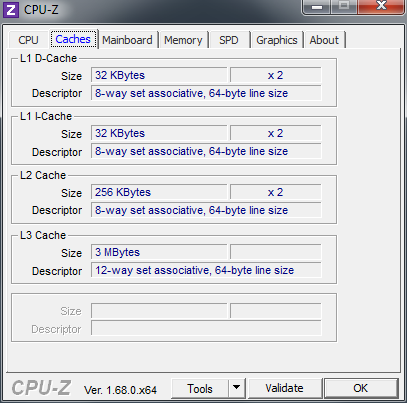 The CPU's performance potential is sufficient even for more demanding tasks. We used Cinebench R11.5 to assess the pure CPU performance. We did not ascertain throttling. 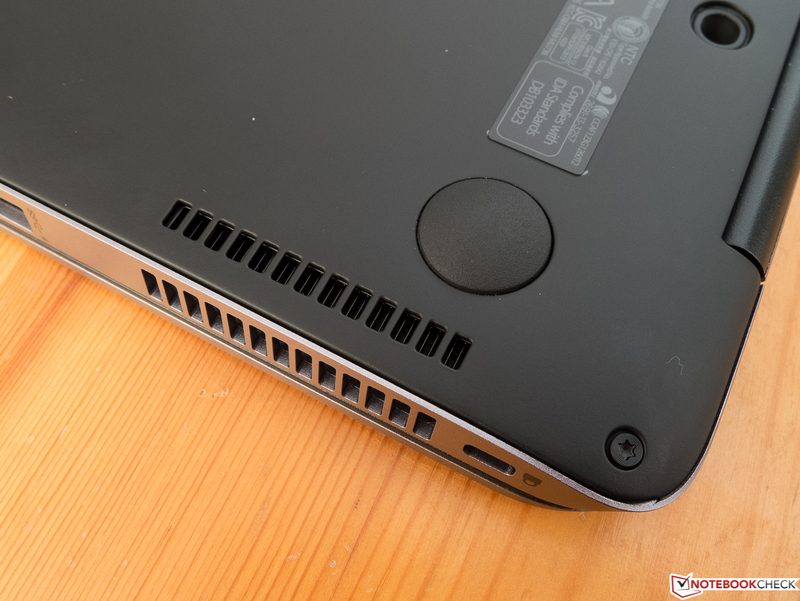 Surprising, but likely due to the temperature problems of Lenovo's X1 Carbon: The potentially considerably faster Intel Core i7-4600U (2x 2.1 - 3.1 GHz, Haswell, TDP: 15 W) in the X1 Carbon lags behind even the review sample in the multi-CPU benchmark. The T440s based on the same equipment as the X1 Carbon achieves a slight advantage, but it is not as big as expected. This is also true for the identically equipped T440s when just one core is loaded. We ascertained that the Carbon also provides a faultless performance in practical use, and thus the difference between the three devices is not significant in this regard. 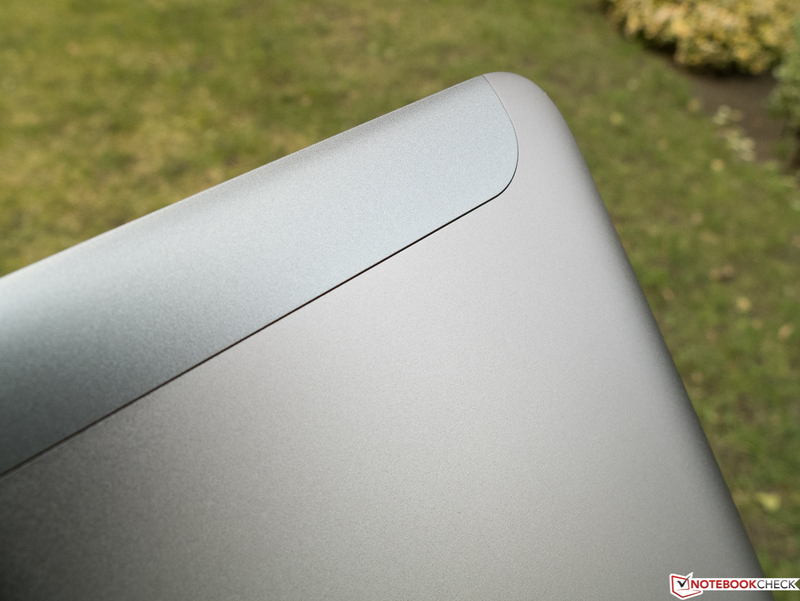 The CPU performance of HP's flagship is precisely within the expected range. We did not notice any limitations in battery mode. Again, Lenovo's X1 Carbon 20A8-003UGE sometimes clearly lags behind both contenders in the PCMark 7 system benchmark. Lenovo's ThinkPad T440s 20AQ0069GE is always in the lead although the review sample is very close in some cases. That again indicates that in this comparison field only HP has managed to control the temperature successfully in such a slim device. The fact that the X1 Carbon can only keep up with the review sample in the largely CPU independent System Storage benchmark underlines this presumption. 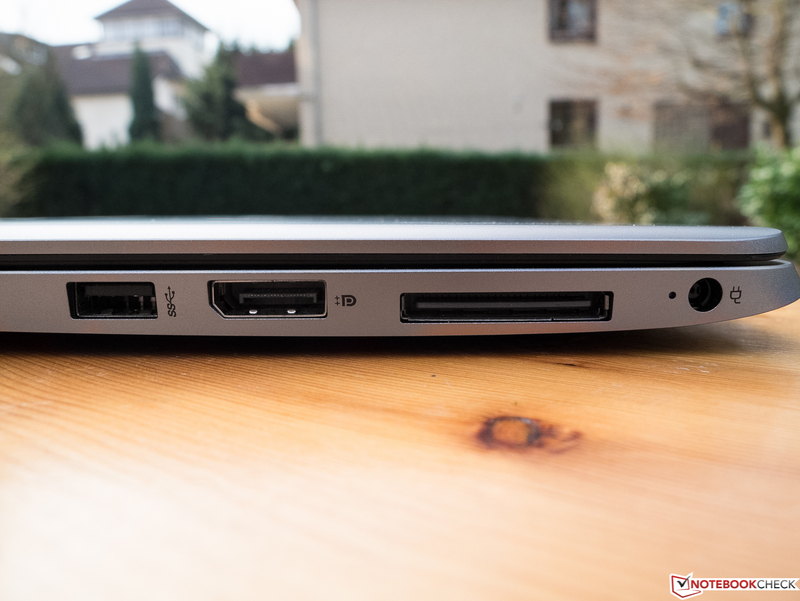 The EliteBook is not even exceptionally fast compared with the identically configured contenders. For example, Samsung's ATIV Book 9 Plus, based on the same CPU and a Samsung SSD, reaped in a 23% higher total score than the review sample. 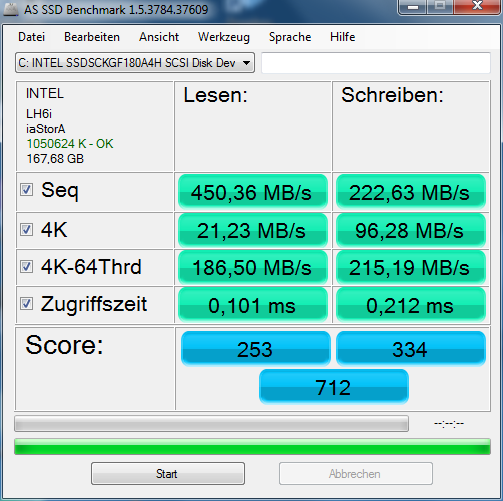 The subjective work speed is beyond reproach owing to the potent CPU, and particularly due to the SSD. System start is just as fast as opening programs. We used AS SSD and CrystalDiskMark 3.0 that are specialized for assessing the performance of solid-state drives, which our three test laptops feature. The review sample was on a similar level in the test field in most exercises; only the Samsung SSD in the T440s outperformed its contenders by almost 100% in the Read 4k-64 test that is to simulate system and program starts, and simultaneously reads many different small data blocks. That is also the main reason that the T440s achieves the highest read and total score. CrystalDiskMark confirmed the results of AS SSD in this regard (Read 4k QD32), but also records a considerably higher level for the Carbon in the 4k read performance than both other ultrabooks at the same time. 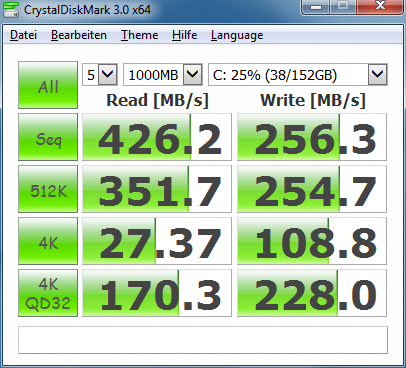 The performance of many laptop hard drives and SSD can be compared in the corresponding article in our FAQ section. While the CPU-integrated, and on paper DirectX 11 capable Intel HD 4400 renders every 2D image without noticeable delays, the few execution units and omitted dedicated graphics memory lead to very limited 3D performance. As 3DMark (2013) proves, the identical graphics units in the three laptops are neck and neck in many single tests. Only the X1 Carbon's lag in the Ice Storm Standard Physics test that loads the CPU is striking. The review sample's graphics performance is approximately in the center of the field of devices featuring an identical CPU-GPU array, and remains inconspicuous. We did not notice restrictions in battery mode. The gaming benchmark chart below this paragraph illustrates the review sample was not made for gaming as it has a very limited ability to play games. Current and graphically demanding games run in minimum settings, at most, and typically look quite unsightly - with exceptions like Dota 2. However, this is also true for both contenders that do not feature a dedicated graphics card either. We have a benchmark list with many mobile graphics cards in our FAQ section, where details about the used games can also be derived. The fan remains silent during most routine tasks, and the noise level is restrained when it does spin. Not more than a gentle noise is heard even during long periods of full load, and that usually fades into the background. Alongside the quiet keyboard, this results in a work device that will barely be a nuisance factor even in very quiet surroundings. The surface temperatures of maximum 40 °C (104 °F) on the underside (load) are uncritical. The upper side never even came close to body temperature. That is also true for Lenovo's T440s; the X1 Carbon steps out of line with a maximum of almost 50 °C (122 °F) on the upper side. Using the device on the lap is no problem. The stress test via Prime95 did not cause throttling; both cores achieved and stably maintained the specified 2.3 GHz. 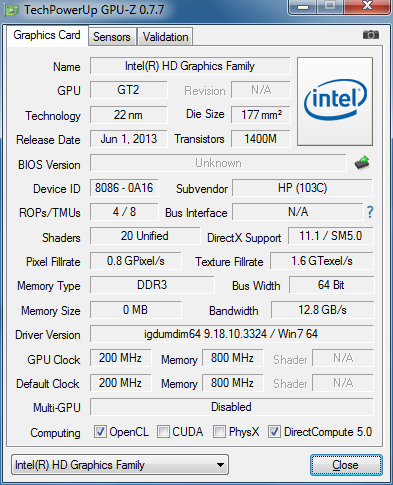 However, when the GPU stress test FurMark was added, the clock rate dropped to approximately 1.3 GHz. The cores did not reach more than 73 °C (163.4 °F) then. Consequently, restrictions due to thermal issues are unlikely in routine use. HP has done a great job here. 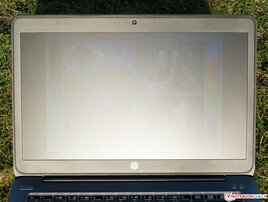 Both speakers in HP's EliteBook Folio 1040 G1 are concealed underneath a grille below the display, and are touted with "outstanding audio" owing to DTS StudioSound. Our experience shows that DTS stands instead for mediocrity, and that is exactly what the user gets here. The maximum volume is sufficient to fill an approximately 20 m² (~215 sq ft) room with sound, but it is partly accompanied with slight distortions and, depending on the source, volume fluctuations. The playback is clear, and instruments can be discerned well. However, the sound is mid-heavy and only has punch at this level. Low ranges are represented by clacking noises, and we cannot speak of a surround sound. However, the target group will likely put more value on a well-intelligible speech output for video conferences, etc. than on music. The review sample's performance is acceptable here. Great, but unfortunately not a matter of course: The laptop does not consume power when it is turned off. The standby consumption of 0.2 Watts is below average compared with all other laptops in our database, which is agreeably low. When we compare the consumption of the 1040 G1 with current devices of the same size, the review sample sits comfortably in the upper third of the ranking due to the frugal Haswell CPU. 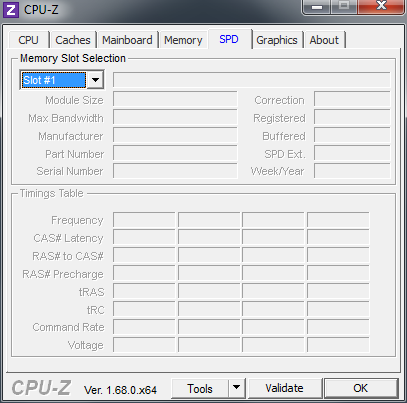 A few contenders based on the same CPU are also found in this field. Now, we will look whether the low power consumption, even for an ultrabook made for portability, leads to an appropriate, long battery runtime. The 45 W power supply's capacity is sufficient. We focused on the practical Wi-Fi test, which involved opening representative, selected Internet websites using disabled Bluetooth and a screen brightness of approximately 150 cd/m². Before starting the test, we selected the energy-saving profile in the operating system's energy management. The EliteBook achieved a more than decent runtime with around six hours and 20 minutes. The X1 Carbon surpasses that with almost eight hours, and the T440s places itself at the very top with an awesome twelve and a half hours - but only using a secondary battery that adds 180 grams (~0.4 lbs), and makes the laptop thicker. An additional battery, which the user could not insert to start with, is not available for our EliteBook. 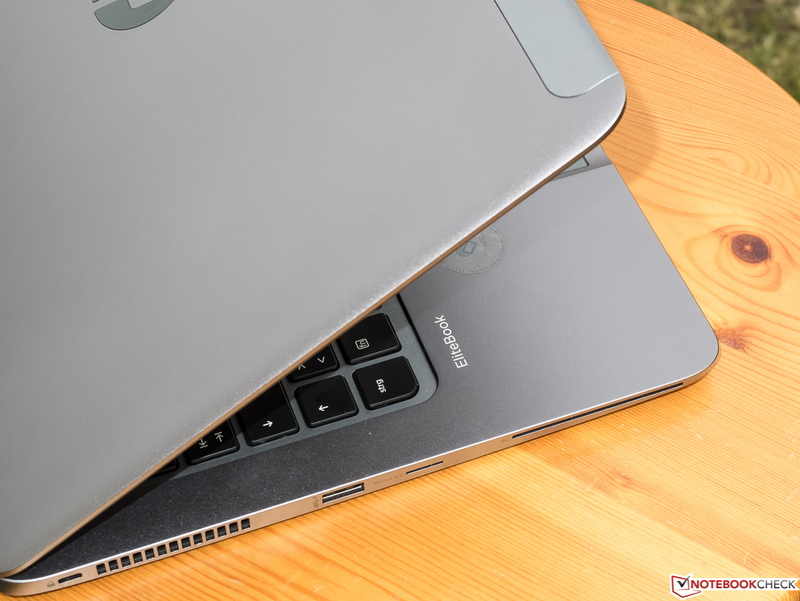 The high-priced 2000 Euro (~$2749) ultrabook is immense, but we can fortunately confirm that HP has not suffered shipwreck with its EliteBook Folio 1040 G1 flagship. 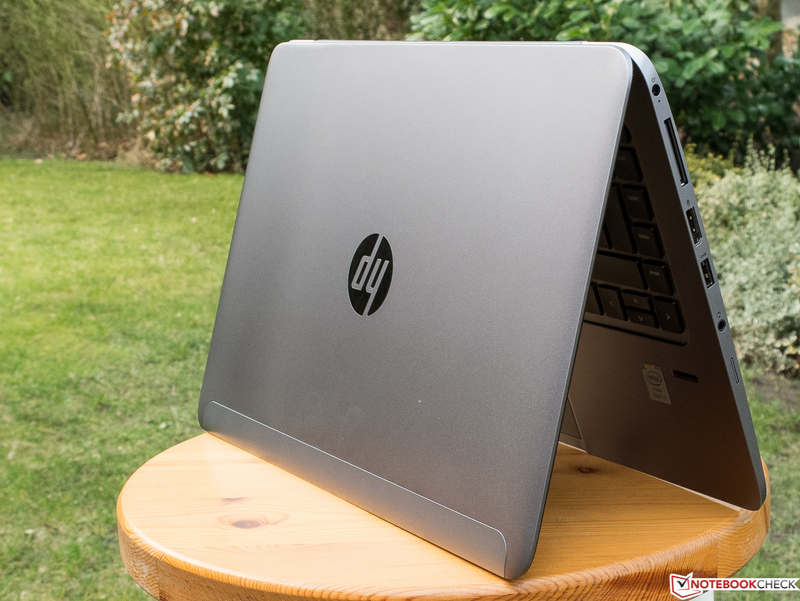 We were presented with a well-built ultrabook from the uppermost price range that does not have to hide in the shadows of its contenders despite a few shortcomings. We still cannot explain why an IPS screen was not used - unlike the competition. Limiting the SSD's capacity to 180 GB also seems a bit stingy. 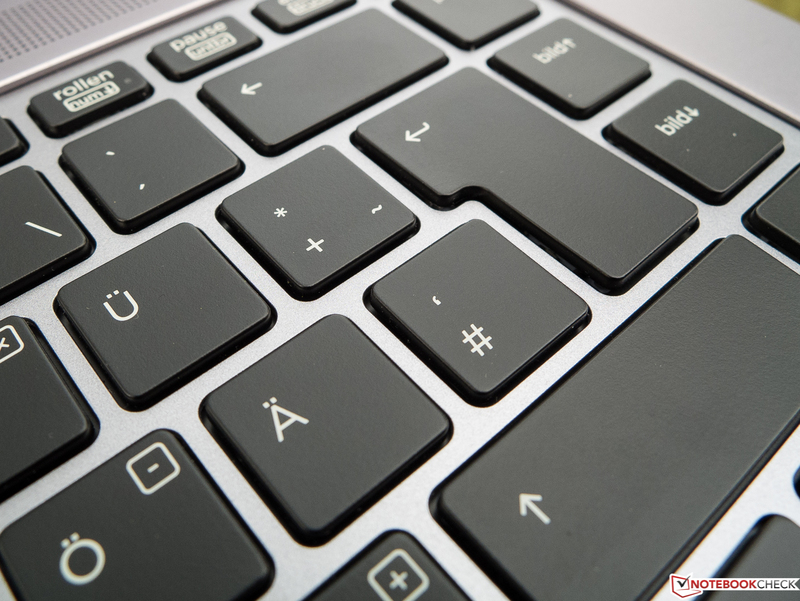 The keyboard and touchpad of an office device are decisive factors, and the tester believes that they could have been better. However, that is a matter of taste. The input devices did not leave us with a bad impression at all. 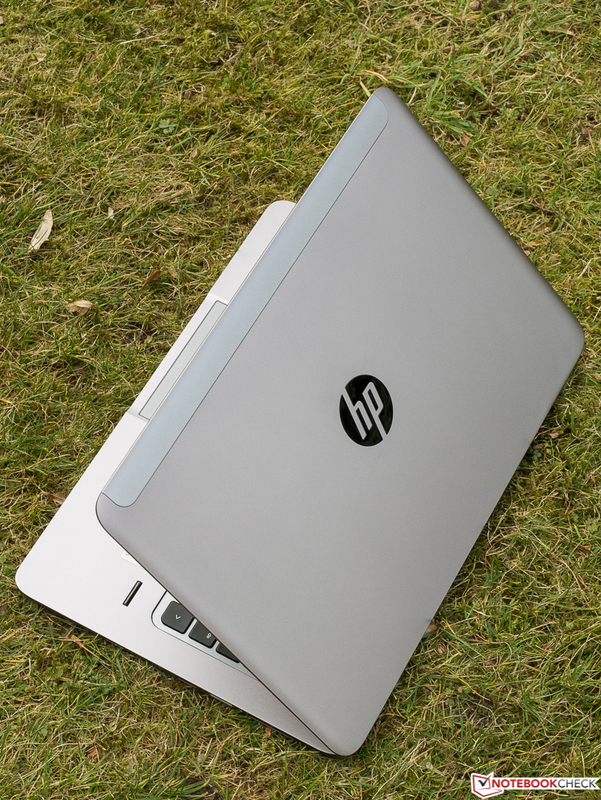 We naturally could not check the effectiveness of the numerous security features, but the HP's bundle in terms of data security and reducing downtimes sounds complete on paper, and will likely also satisfy the undoubtedly expected high demands of well-heeled customers. We particularly noticed the very quiet operation, the flawless temperature management, and the rock-solid, virtually perfect build favorably. Users who put high value on a high-resolution, good touchscreen, and an exclusive Carbon casing will likely be happier with Lenovo's X1 Carbon 20A8-003UGE. However, the somewhat unusual adaptive keyboard needs getting used to, and performance throttling due to thermal problems should not be an issue for the user, though they were rarely noticed in practical use. Lenovo's ThinkPad T440s 20AQ0069GE also reaped in a top rating of 91%. It is also extremely quiet, features a first-rate screen, but "only" in a Full HD resolution, and it is not a touchscreen. 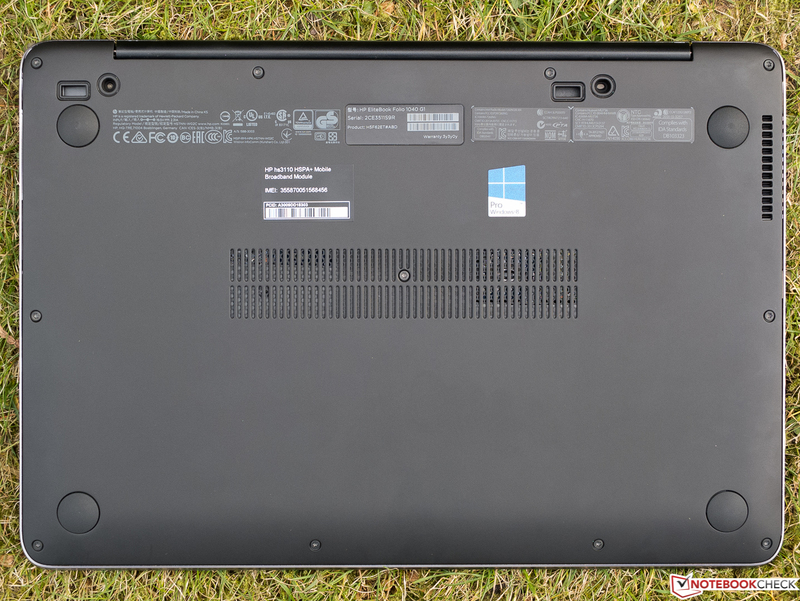 The keyboard in the T440s is superior to the one in the EliteBook, and the practical runtime of this device can be extended to over 12 hours via an optionally available battery should an especially long endurance be important. 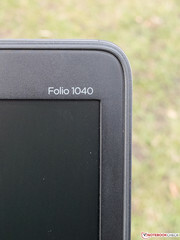 Note: The HP Folio 1040 has been rated according to the recently introduced ranking system (v4). The total score would have been 85% based on the previous rating system (v3). ...is traditionally demanded in the business sector. 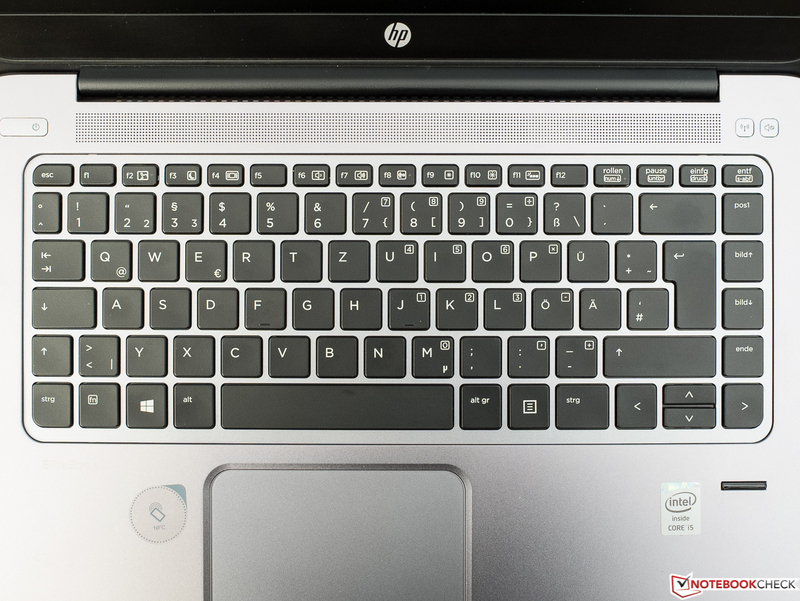 The striking HP logo on the back is implemented in piano paint. Very nice: The display bezel made of matte, high-quality looking plastic. 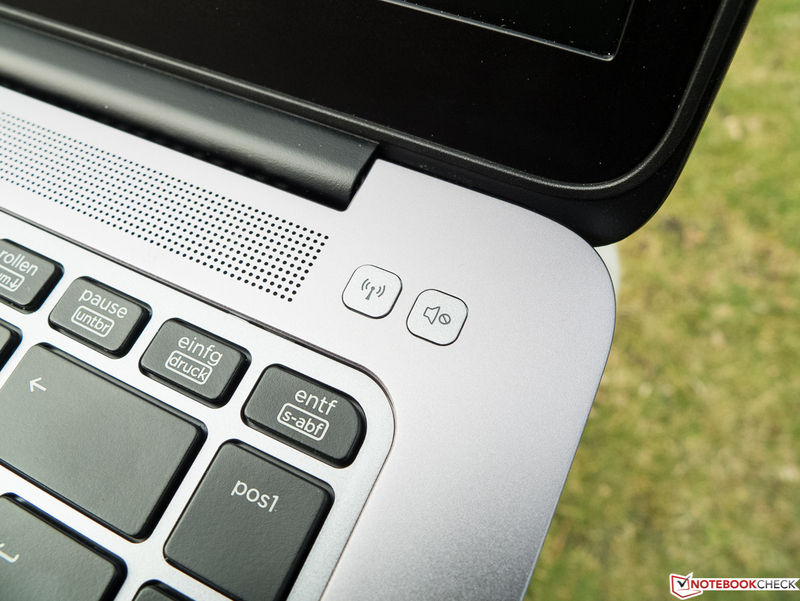 The touchpad is not clickable, but pressure sensitive. The power button, and buttons for..
...wireless and mute are implemented nicely in the base. Well-considered, though not marked: NFC devices have to be placed here. The usual recess for the fingerprint reader has been omitted. ...and AC-in connects with docking solutions. The lid's protruding lip creates one of the few visual highlights. Rather than maintenance cover - 10 classy Torx screws. Model plate with warranty number + WAN modem model. ...and has a velvety soft feel. The design is pure understatement, the build is close to perfection. The competition proves that there would be enough room for an IPS screen in the budget of such a device. Why HP gives us a TN screen for this price is simply incomprehensible.